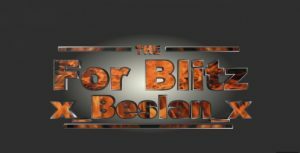 [2.7] Gfx Mod Pack v2.7.0.0 for WoT Blitz | WoT Blitz 5.9 - Fan Site! This ModPack developed mod-makers from Japan. This modpack includes as unique mods, and those that we have seen in battlescreenhud ModPack . That you back up as “Data_BackUp”, etc. in the “Data” folder each advance in. • If in a commentary that it is to be indicated “replace each folder” should be replaced delete the always original folder the same name without overwriting in the folder of the Mod. · Both basically image is different only the size and layout of the same. · Depending on the display resolution either Gfx2 or Gfx it is automatically selected in the app. · Basically to full HD (1920×1080) or more of the terminal Gfx2, full HD less than terminal it should be referenced Gfx. • You may have when the terminal is a whether unknown type that refers to either that you are using is a good idea to check by introducing only one of Gfx2 or Gfx. · Since the introduction of the Mod is the first one, is describes the basic knowledge of Mod introduced at the blog please refer to. The “Basic_Mod / Data / (Gfx or Gfx2)” following me to override the normal data to. ※ The “Overwrite” Be careful because if there is a case of “replace” that. ※ I will Greece digit representation of the normal to the color-coded alphanumeric display. I overwrite “../Color_Alphanumeric_TierIcon_Normal/Data/(Gfx or Gfx2)” the following to the normal data. 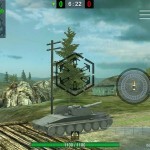 ※ The vehicle that has been destroyed by adding to the above will be displayed defeated marker. I overwrite “../Color_Alphanumeric_TierIcon_Skull/Data/(Gfx or Gfx2)” the following to the normal data. ※ 1 is the grid = 100m2. It replaced with “./Color_MiniMap/Data/(Gfx or Gfx2) / UI / BattleScreenHUD / minimap” folder the normal folder. ※ to the representation of the nationality and the premium vehicle as well as color-coded display to another type of vehicle. I replaced with “./Color_SmallTankIcon/Data/(Gfx or Gfx2) / UI / BattleScreenHUD / SmallTankIcon” folder the normal folder. 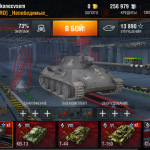 ※ it is possible your own add corresponding To quote the Mod data of the same nationality same model even if the vehicle has been added in the future. ※ you can use either a standard account / premium account. I replace “./Hangar_Skin/Data/3d/Maps/(hangar and hangarlow)” folder and the normal folder. ※ It becomes fps improved by the introduction. I overwrite “./LightWeight_BattleScreenHUD/Data/(Gfx or Gfx2)” the following to the normal data. ※ Please remove the following normal file, depending on the terminal just in case. 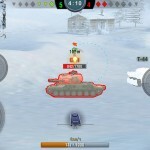 ※ Please disable lightweight Mod If a problem occurs in the future updates of WoTB app. ※ Please change depending on the preference from among the nine that came. “../Reticle – Minimal ~ / Data / (Gfx or Gfx2)” following me to override the normal data. ※ 50% / 75% / 100% = you will select from among hidden. It replaces the “../Transparent_Rate_~/Data/3d/Objects/DriveArrow” folder and normal folder. ※ it will change the look. “../VisibleRange – Type2 / Data / (Gfx or Gfx2)” following me to override the normal data. ※ it overwrites the indicated file in the normal file. The visibility range data of WoTB Wiki has set a minimum and maximum as a reference value as a reference. Visible distance of each vehicle should be used as a guide because the visible range may vary depending on extension equipment and the like. · Any trouble at your own risk because it does not concern the time of use. · And re-distribution is free to ask distributed in the state, but the attached document also stocked all files is not modified in any way, including. ※ This is a consideration for people who received to be able to understand the content of correctly Mod. ※ I am calling the latest information, such as updates and bug at Twitter. I am afraid to download this mod pack beacuse I don’t want to my game be in Japanese. So if somebody have already downloaded this mod pack tell me if the game is in Japanese or not. Thank you! 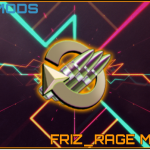 Does this mod work in 2.3? Also how do you delete a some of the mods after you get them? For example I don’t want the map one (1a,1b, etc) and I want to change the sight. Yes! 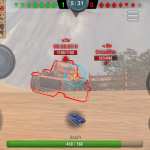 The minimap and sight reticle currently only works for 2.3 but don’t install the range circle, tier icons and numerals it will ruin your game. Nice mod working with out problem on me..
DON’T USE THIS MOD! It will ruin your textures but the mini map mod seems okay. How to i uninstall these mods after a while? 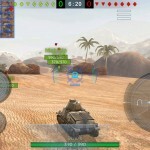 any chance for ios wot 3.0.0 ?